Click on the link hinsdale-store-ravaged-by-fireHinsdale 2nd Alarm at 8 Main St. Mutual Aid Engine and Ladder from Brattleboro; Engines from Chesterfield and Northfield,Ma. ; Cascade from Winchester; Ambulance from Rescue Inc to the scene. Winchester covered Hinsdale. Dispatchers on duty, Lt. Tom Redin, Lt. Ed Mattson, Dispatcher Jay French. 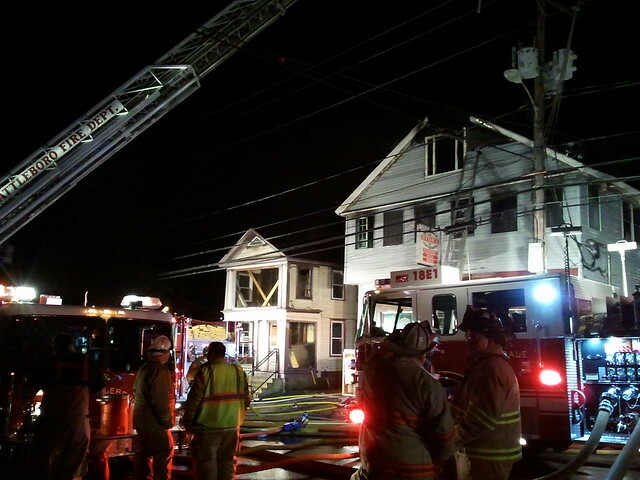 Photo by Deputy Sangermano, Fire Mutual Aid.